Skeeball Rentals - MD DC VA - a classic arcade game, perfect for corporate parties bar mitzvahs school carnivals trade shows sports pub nights in the Maryland Washington DC Northern Virginia area. 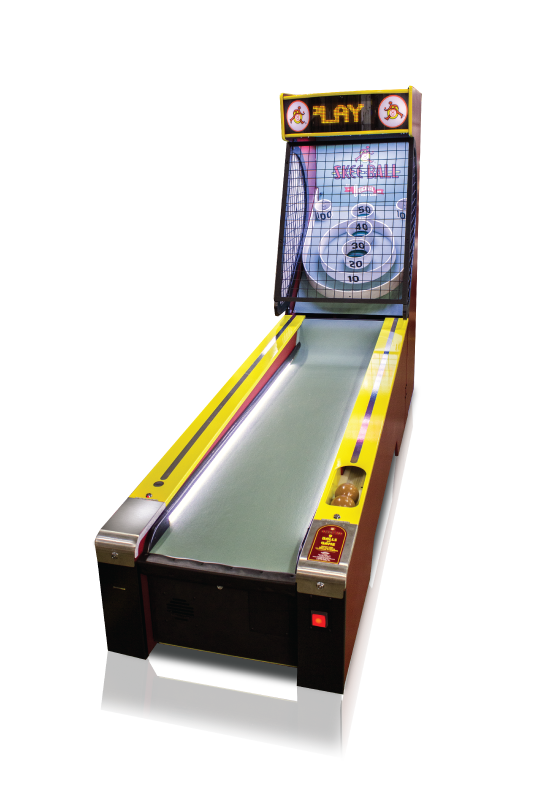 Skeeball- LED Scoring - Bring the classic arcade game to your next event! Same look as the original alley, but with up-to-date electronic LED scoring system. Space: 10'l x 3'w x 7'h.